Holy Day of 12th Rabi-ul-Awwal (Eid Milad-un-Nabi S.A.W) and Kashmir Day have come on same day in this year. It indicates something important is going to happen soon. Below are some excellent articles published in Nawa-i-Waqt Newspaper related to 12th Rabi-ul-Awwal, Kashmir Day and Ghazwa-e-Hind. This day will be remembered in history similar to 14 Aug & 27 Ramazan. Ye itefaq, Naye Dour Ka Aghaz Sabit Ho Ga. InshaAllah. اسلام علیکم ماشااللہ یہ ایک خوبصورت پوسٹ ہے. علامہ اقبال نے سچ کہا کے سارے جہاں سے اچھا ہندوستان ہمارا . ماضی مے یہ جملہ مجھے پسند نہیں تھا . لیکن ہندوستان بھی ہمارا ہے ہم نے اس پر ١٠٠٠ سالہ حکومت کی ہے جو ہندوستان کی تاریخ میں گولڈن پیریڈ تھا. حضرت آدم بھی جنت سے ہندوستان پر اتارے گے تھے. ان کے ساتھ جنت کی میٹھی ھوا بھی اتاری گی تھی. ہم ہر موسم اس خطے میں دیکھ سکتے ہے. ساری دنیا کی چیزے اس خطے میں موجود ہے. حضرت عیسیٰ آسمان سے اتارے جا چکے ہے اسلے دجال کا خاتمہ اور غزوہ ہند@ بہت نزدیک ہے. انشااللہ "
Later, Prophet ‘Isa (as) will descend to the white minaret in the east of Damascus (Sham). The imam will withdraw, and Prophet ‘Isa (as) will go to the fore and lead the people in prayer. Please make correction, Imam AS will not withdraw, rather Hazrat Essa (AS) will ask him to lead the prayer then Imam AS will lead. I respect you but kindly note the sequence of events. First Imam Mahdi (as) will appear & he will lead the righteous people against the evil forces of Dajjal (who will be in hide). There will be deadly battles for 6-7 years and then Dajjal will also appear physically. His stay in this world for all to see will be equal to 40 days (there is some further detail involved, not discussing here). Then at the last, when the forces of Dajjal will have surrounded the forces of Mahdi (as) and there will be a very tough time for them, THEN Hazrat Isa (as) will descend. So first is appearance of Mahdi (as), then Dajjal and THEN lastly Hazrat Isa (as). I have studied this from different sources and have read Ahadith also. His descent will be from heaven resting on the wings of two angels to help Mahdi (as) and his forces. Allah knows best! Dear brother your order is correct that 'first is appearance of Mahdi (as), then Dajjal and THEN lastly Hazrat Isa (as)'. It is there public appearances. Mahdi (as), Masih ad-Dajjal and Isa (as) have come but not yet appeared in public. e.g. We have seen many killings in whole word so Masih ad-Dajjal (Anti Christ) is present but this person is not appeared yet. (note Dajjal and Ad-Dajjal are different). We have seen uprising of Muslims i.e. now Muslims are more religious than Muslims of 70's and Islam is spreading in Europe. We can see ending of Tyranny and bigotry in Islamic world. It is due to spiritual power of Mahdi but he is not yet appeared in public. It says in a narration in connection with Jesus (Peace be upon him) making the Dajjal ineffective: "The Dajjal will have a colossal form, he will be extraordinarily big and taller than a minaret, while Jesus (PBUH) will be very small in comparison." "... the 'scientific,' physical armies of the Dajjal...": Through this expression, Bediuzzaman reveals that Jesus' opposition will be very strong in terms of education, military power, and financial might. While their education system propagates irreligion, the military is working to disseminate the same irreligious ideologies. "... the spiritual community of mujahideen...": This expression describes Jesus' followers. The word "community" indicates that they are close to one another and act together. This community's members will make great efforts to establish the morality of religion where the powers of irreligion rule, and will be dedicated to work on God's path. They will engage in a great ideological battle to destroy the irreligion created and spread by the education system and the military. The word "spiritual" points out this community's genuine faith, as its members are fully aware of the spiritual dimension of things as well as their material appearance. "Mujahideen" stands for a group of people who work for the cause of God, actively promoting His religion throughout the world. Yes Faisal Bhai, JazaakAllah, I have gone through www.jesuswillreturn.com 6 years back which is the work of respected scholar Harun Yahya. I have also got two Urdu books from Jamaia-e-Ashrafia, 1- Imam Mahdi Ka Zahoor, 2- Fitna-e-Dajjal and read them in 2005. Anti-Christ (Ad-Dajjal) and Imam Mahdi (as) might be here in this world right now, we never know (but only Allah knows best), but what I am pointing at is that Jesus (pbuh) will descend from heavens only at the end of mission of Imam Mahdi(as) to kill Dajjal (Anti-Christ). After Dajjal and all the evil jews along with their accomplices are killed, Mahdi will remain alive only 1-2 years and then will pass away due to natural death. Afterwards, Prophet Jesus (pbuh) will rule the world according to the laws of Qur'an and Sunnah for around 40 years which will be the Golden period of this world. Hence, I think not only the future of Pakistan is great but the whole Muslim world since Islam will prevail in the whole world. It is said in hadith that after the passing away of Jesus (pbuh)due to natural cause, he will be buried next to Prophet Muhammad (pbuh)and then nothing good will remain in the world afterwards. Satanic forces will take over again and evil will thrive - an animal will come down from mountains and distinguish between the righteous and the evil - finally judgment day will arrive. May Allah fortify our emaan for instead of celebrating the unseen future of Pakistan, we should be more worried about spreading the message of Allah, protecting ourselves from the evil in cable TV and internet, for these are times when the western media (and our neighbor Bollywood) is spreading evil messages and obscenity in a very attractive manner. There is no 'check' on internet and cable TV in Pakistan. Hence we should be more bothered and our energies should be more focused on curbing these evils which are spoiling our youth. Otherwise, when Dajjal appears, those with weak emaan will join his forces thus losing their emaan and doomed to the ever-lasting fire of hell. That is a bigger agenda on our plate right now then being happy about a future which I tell you is going to be at a cost of lots of sacrifices and lot of effort we put to 'strengthen' our emaan. Roman Ahsan (writer and journalist). Ahsan Bahi Baiduzzaman nursi said Jesus will return in Christen community where his language will be alive. Jesus will learn Quran and his community will be very small. This world is created for test us. This wold in also illusion or Dajjal. Similarly TV and internet are also created to test us that who is believer or who is unbeliever. It is Dabbetul Ardh to mark our faces (mark of the beast). TV and internet is sword of Imam Mahdi. Kab hua hai yeh. Allah reham farmaya or unko sabar ata karey. Allah Taala sogawaraan ko Apni Janab se Sabr ata farmaye, AMIN!! Aameen. Allah Baktar-e-Noor sahab ko sabar ata farmae aur unke masoom betay ko jannat mai Aalaa muqaam ata farmae Aameen. Allah aap sab ko dunay aur aakhirat ki kamyabian ata farmae. Ameen sum Ameen. Sab momineen o mominaat ko Eid e Wiladat e Nabi e Mukarram (SalAllaho Alehe Wassalam) bohat bohat Mubarak ho! Words cant express the hollow feeling i got after reading about your son as being a mother i cant bear the thought. But azmaish comes on those who are loved by ALLAH. إِنَّا لِلّهِ وَإِنَّـا إِلَيْهِ رَاجِعونَ May Allah bless you and your family with utmost courage. Aameen. Why did you ban me from your group? I did not expect this kind of intolerance from someone who follows Harun Yahya. Inna lillah e wa innaillaihe rajioon....Brother Baktar e Noor ,May Allah(swt) bless ur son to Jannat ul Firdous,and may u find him in the company and love of Rasool Allah(saww) on the day of judgement where both of u can live togaher once again in the eternal life (ameen )....May Allah grant your family with Sabr e Jameel (ameen)! ALLAH TAALA AAp k Ladley ko Jannatul Firdous main Hazoor Sallalaho Alaehi Wa aalehi Wasallam k Hamsaya main Jaga ataa Farmaaye ameen summa ameen. May ALLAH give his parents sabr e jameel and unite us all in jannah. @ All Brothers & Sisters on this blessed blog! Your messege brought tears in my eyes. Indeed WE SHALL ALL REJOICE AND DINE IN PARADISE AND YOR DEAR SON WILL SIT IN YOUR LAP AND YOU SHALL KISS HIS FOREHEAD AND HE SHALL RECEPROCATE! ALLAH BE PRAISED. Akhi, i am a father of a 3 year old boy and I can feel your pain. May Allah give you and your loved ones the strength to bear this loss. MAY ALLAH bless you with 3 strong beautiful and obedient sons instead of this one. Ameen. Baktar e Noor Bhai, You are a true source of inspiration for many of us. be brave and Allah will make you Ghani! InshaAllah! SARKAAR RASOOL ALLAH SAW may help you in this agony of yours. Your presence in this blog has enlightened the hearts of many, and may Allah lighten your heart and replace you with better than what you have lost. Brother Allah's rememberance infuses peace in the heart. WE SHOULD ALL RECITE QUL & FATIHA FOR THE DEAR DEPARTED. AND LET US ALL FEED ATLEAST ONE PERSON TODAY IN THE NAME OF THE DEPARTED SOUL AS SADQA E JAARIYA. O Allah we all stand united for your Deen and for the love of your Beloved Prophet (SalAllaho Alehe Wassallam)! We all are ansaar o awaan to each other in the way of Deen and on the path of Jihad....so help us stay steadfast and faithful till we finally meet you in happiness...Ameen sum Ameen. Masha Allah, You have the heart of an ASAD, the soul of a NIMR, and the perseverence of a FAHAD! And InshaAllah, you will soar in the skies like an AOQAAB! Indeed you are blessed with the Ishq of Rasool Allah SAW to possess such traits! SUBHAAN ALLAH! ALLAH HU AKBER! I highly recommend that you watch them and try to link different pieces of the puzzle. Sure, how can we forget our KIND MEZBAAN, Sir Faqr here... Who is the pioneer of this all!! We are only congratulating you on your exemplary courage and Sabr, mashAllah!! Lagta hai ke aap ne meray question ko sahih tarah nahi samjha aap ne itni bari baat kar di aur mujhay hairat hai ke iss blog mai kisi nay bhe aap se nahi poocha??? @"حضرت عیسیٰ آسمان سے اتارے جا چکے ہے اسلے دجال کا خاتمہ اور غزوہ ہند بہت نزدیک ہے. انشااللہ"
kia aap logon ko batana pasand karaingay ke iss waqt ye dono shakhsyaat kahan par mojud hain? App ne pocha "Faisal sab zara hum ko bhe batain ke Hazrat Essa(a.s) kahan par utaray ja chukay hai take sabb logon ka bhala ho"
Main ney Jaga bata di "east of Damascus" jo Hadith se sabit hai. You will be surprised to know only Maaloula is one of very few places where Western Aramaic, the native language of Jesus, is still spoken. It 56 km to the northeast of Damascus. So Hadith is correct as Porphet Isa will be descended where his language is alive. Is it not strange? Read work of Baiduzzaman Said Nursi about descended of Prophet Isa A.S.
Not only I but many people claimed Imam Mahdi has come around 1960, 1980, 2012 etc. This blog is full of this type of predictions of different saints. If Imam Mahdi has come then Prophet Isa (A.S) has also come as age of both noble individuals will be same. Isa A.S will be descended in age of 30 or 33. At this time Imam Mahdi will also have same age. @"dono shakhsyaat kahan par mojud hain?" As I said Mahdi is a title which will be given to Imam after his success and completing three great duties. Currently no one do these duties. So can't tell who is Mahdi. Also Mahdi will never claim he is Mahdi but people will recognize him using his features present in hadiths. Isa A.S will be recognized using faith as he is Nabi. Only tell Mahdi is in Turkey as said be Sheikh Nazim. STEPHANIE SALDANA: Can you talk about that a little bit more? ADNAN OKTAR: His Highness Bediuzzaman Said Nursi is the greatest mujaddid (renevator) of the last centuries, the last thousand years; he is the greatest religious scholar. He genuinely, with a crisp language, says the following very self-assuredly basing on concrete evidence; "When the Prophet Jesus Messiah (pbuh) comes, when he first comes, even he would not know about himself. His close students, his prominent students will recognize him through the light of faith." The Prophet Jesus (pbuh) has been left among a Christian community in a sleeping state; among a community resembling to Islam, he has been left in a state of sleep. They have woken him up from his sleep. When he first wakes up he speaks Aramaic but now he is learning about English, German, French and many foreign languages. He is gaining very detailed information about the Qur'an, about the Torah and about the Gospels and teaching these to his students as well. I mean the Prophet Jesus Messiah (pbuh) is active at the moment. Hazrat Mahdi (pbuh) is active as well; they are both active in two separate branches. It is just that the Prophet Jesus Messiah (pbuh) have an impact on the world politics. I mean he has an activity targetting important politicians, important soldiers and important people. STEPHANIE SALDANA: Okay.. So for example if you and I have different beliefs on the role of Jesus in the End Time, as Muslim and as a Christian. I often think about the relationship between Muslims and Christians as the relation of a man and a woman who are married. Right? Do we just live together, do I just listen to you speak and I agree with what you say? Or is it important for us to challenge eachother to ask questions to one another? Brother Baktar once asked me who is your inspiration to work for this blog? I replied him, I am inspired from the brightest future of Pakistan and unity of Muslim Ummah once again similar to the the early conquering days of Khilafat-e-Rashidah.........After reading the comments above, I am now 200% sure that a new era dawn for Islam is already rising. there is something eternal in our religion that despite of assaults of time, it is full of love and brotherhood. Allah bless you all, here is a gift for you all, Jalaluddin Rumi (RA) Blog with Urdu n English translations....!! As I remember present government won the election in early 2008 and took the office afterwards. Also I think next election will commence after the 5 year tenure of the national assembly. If above criteria is correct then why in Pakistan election are going to help earlier than the normal timing. So, it means all these MI6 and CIA backed politicians are doing something tricky please check and if we are correct then we need to be careful. USA has closed down the embassy in Syria and all the staff including the ambassador (Robert Ford) called back to USA. And yes we are all part of a spiritual family waiting eagerly to meet The Lord of The Universe and His beloved Habib (saww) and all the Ashab e karam(ra)and the monineen in a state of Salamti and success....Allah praise be to Allah (swt)..
JazakAllah Khair, You know, Rumi (RA) was spiritual mentor of Allama Iqbal and Iqbal loved him and mentioned him again n again in his peotry. Once I complete that blog, you will appreciate it more after reading the real Hikmah which Rumi (RA) extracted from Quran and Hadith. Faisal Bhai, will Mahdi come before the great war or after the great war (Armageddon)? In most places it is given that he will appear after the big war. Armageddon is not single war. World war I & II, gulf, Irq, Afghanistan wars are all parts of Armageddon. Mahdi will appear after war conducted by Sufyani in middle east. Sufyani will attack Egypt, Iraq, Khurasan and Hijaz. Mahdi will come after great killing by Sufyani during Hajj in Hijaz. Mahdi will also fight with Romans (12 countries of Europe) to protect Caliphate. Mr. Faisal, please stop misguiding people here. How can you say that World War I, World II are part of Armageddon??? I am amazed at how such people are given room here in a blog FUTURE OF PAKISTAN who are far from truth. REALLY PATHETIC!!! Mr Anonymous, do you know dajjal will be responsible for Armageddon? World war I & II were based on Darwinism and communism. Do you know the link of Nazis with Darwinism? Both Communism and Nazism are based on Darwinism. Do you know Darwinism is religion of Dajjal? Do you want our people remain ignorant? Communism and Fascism are sworn of Satan. Armageddon is a biblical term indicating the site of a battle during the end times. According to some Christian interpretations, the Messiah will return to earth and defeat the Antichrist in the battle of Armageddon. 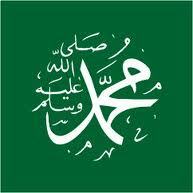 In Hadith term 'al-Malhama al-Kubra' (The Great Battle) is present which indicates Roman invasions in our lands i.e. Arabs, Khurasaan and Turkey. Armageddon is not Islamic term. Evangelist wants Armageddon to kill millions people in middle east as they think Messiah will conduct Armageddon in his second coming. In Islam second coming of Prophet Isa (A.S) at the end of time is not coming for Armageddon war or destruction of the world. He (A.S) is more loving and peaceful than what those Christian fundamentalists claim. He (A.S) will come for stop wars and bloodshed. Islamic term 'al-Malhama al-Kubra' for end time is invasions of Romans which are Gulf, Iraq, Afghanistan wars of past and future wars of Sufyani and Romans in Egypt, Kufa, Khurasaan, Hijaz, and Constantinople as mentioned in above link. Iranians will NOT make war with Israel. There will not be a great war like Armageddon in the time of the Mahdi. ADNAN OKTAR: My brother, Iran and Israel is not going to make war. There is no such thing. I mean, there is no such thing in the time of the system of the Mahdi. In that sense there will not be a large-scale war from now on. There will not be a war like Armageddon. In addition Israel is not going to be destroyed like it is imagined. On the contrary Jerusalem will be prospered. Jerusalem is a city which Hazrat Mahdi (pbuh) will go. It will be bright clean by Allah's leave. We will clean out the old buildings. We will make those back streets clean. The Masjid of the Prophet Abraham (pbuh) is neglected. We will re-build it and build a great mosque there. We will re-build the beautiful masjid of our grandfather, the Prophet Solomon (pbuh), right? We will make Jerusalem like Paradise. Therefore, there is no such thing as raving anything to the ground. Ahmadinejad will lower that finger of his. There is no need for that. Ahmadinejad is a very nice person. He is courageous and well-mannered. You should not look at what he says. They are making him nervous. Sometimes there is a word from Israel like "We will shoot Iran and launch an atom bomb." As a reflex he replies back in a manner to say "I will destroy you." There is no need for those. Neither Israel should threaten them nor should he answer them in this tone. There is no need for that. Atom bomb cannot be used on Israel. There are Muslims in Israel. There are our Jewish brothers and Christian brothers. There are Palestinian Muslims everywhere. The graves of all prophets are there. There can be no atom bombs, this and that to there. Let me say it openly; we would break that arm, which would attempt to launch an atom bomb. In the same way, we would also break the arm, which would attempt to launch an atom bomb on Iran. I mean spiritually, we would break it by using spirituality, by the leave of Allah. By the leave of Almighty Allah there will be no such thing. Hazrat Khidr (pbuh) is there one day and there on another day. The world is not such an adrift place, insha'Allah. They are to pull themselves together. Insha'Allah. We are humble students of Hazrat Khidr (pbuh) in his absence; humbly and modestly we are, insha'Allah. Please don't say Ghazwa e Hind, because this is wrong term as Ghazwa is that battle in which Prophet Muhammed took part and he is the last Prophet and there will be no new Prophet so you can say Battle of Hind instead of Ghazwa e Hind; if any one insists then he is non believer or qadiani mirzai and so on.